Shoei started making helmets back in 1958 and very quickly became an industry standard due to their nearly unrivalled attention to detail and their dedication to an impeccable product. 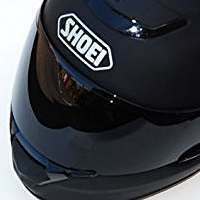 With every new release, Shoei manage to strengthen their reputation as a premium helmet brand. The helmets you find in our Shoei range embody that ethos without fail: these are some of the safest, most comfortable helmets on the market. Free Interphone Shape intercom with every Shoei helmet purchase! Offer ends 01-10-18. A replacement internal dropdown visor for the Shoei J.O. The latest Shoei collection brings us the J.O. 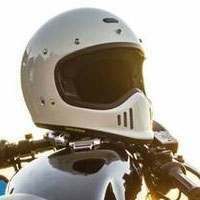 : a sleek shell open face helmet reminiscent of the vintage helmet designs we all know and love. 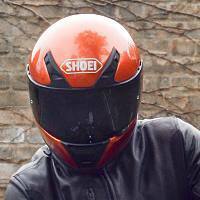 Replacement visor for various Shoei helmets. Shoei introduces the EX-Zero: an undeniably classic looking helmet packed to the brim with modern features.